Kutumbsakhi wishes all its customers a Happy and Tasty-Food Filled New Year. We promise this year to keep satisfying you with our regular dishes as well as endeavor to bring newer, tasty dishes with the same standards of health and hygiene that we are committed to. All our stalls are open from 7.30 am to serve you breakfast and lunch. A number of our satisfied customers organize to have daily meals delivered to their offices (you will have to make the delivery arrangements yourselves). Click on the Kutumbsakhi Meal Menu to see the delicious meal items we prepare for you. If it is tasty snacks that you are looking to either eat at our numerous canteens, or store in your office or take home, click on the Kutumbsakhi Snack Menu to see what we have in store for you. 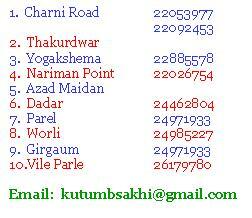 Let us remind you that Sankrant is just round the corner and Kutumbsakhi is taking orders for Sankranti Sweets. So do call the nearest branch and order your Til ka laddoos and Kurmura Chikkis right away! Kutumb Sakhi is an organization which provides delicious and hygienic snack and meal items at extremely reasonable prices. Most of its employees are women who are using their major qualification, i.e. food preparation to provide them sustenance. It is a not for profit organization. All the profits from its activities are distributed among the workers who are also shareholders in the organization.